With the Tribe — That Cost How Much? As you may or may not know by now, I have an obsession with anything exotic and handmade in feeling. As a matter of fact I have an entire rack of it in my bedroom (!). This translates to lots of embroidery, block printing, hand-loomed fabrics, and tassels, pom poms, etc. I found this bucket bag on Nordstrom Rack and it is all of my bohemian dreams in one bag. Tassels? Check. More tassels? Check! South American loomed fabric? Check! 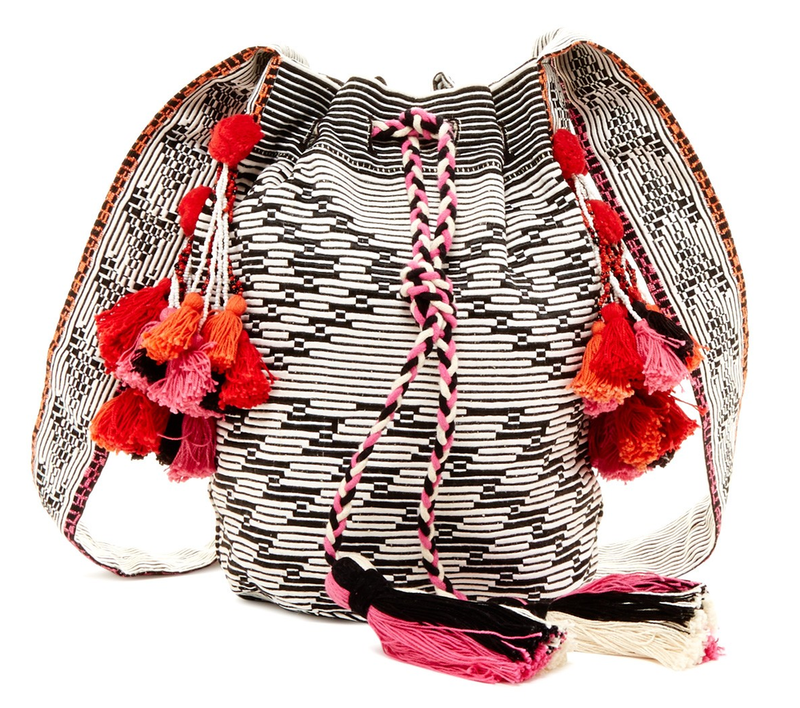 I love the graphic black and white pattern- it will go with more than your typical summer bag. I'll be wearing mine with a floaty white dress, gladiators, and this hat.